Cleanliness is key to the success of any business. Hiring someone to handle the cleaning, however, isn’t so easy. When you’re in the market for a commercial cleaner, don’t hire just anyone. Instead, there are a few key qualities that will set the quality cleaners apart from the rest. Chances are you have a long laundry list of things that need to be cleaned. For that reason, it’s important that the commercial cleaning company that you hire offers a variety of different services. Whether you need carpets cleaned, windows washed, or exterior services, look for a commercial cleaner that can meet all of your needs. It’s also important that your chosen commercial cleaner is reputable. Before you hire anyone, look at online reviews or ask for references. If you find that previous clients have been unhappy with a particular cleaning company, you may not want to hire them. A good commercial cleaner will work quickly to resolve any issues and remain professional at all times. If you have a specific time or day that you need your commercial cleaners to come, it’s important to communicate this in the very beginning. Some commercial cleaners may not have the availability to meet your scheduling needs. Don’t sacrifice business hours for the sake of your cleaning company. Instead, find someone who is willing to work around what’s best for your business. Most businesses decide to hire a commercial cleaning company because it’s become too difficult to handle cleaning in-house. You trust that by hiring a professional cleaner, the job will get done quickly and efficiently. If you don’t hire a cleaner with experience, you could be disappointed. Ensure that the company you hire is qualified to handle the job and has numerous years of commercial cleaning under their belt. Whether you need pressure washing or commercial cleaning, CleanSweep’s experienced professionals are ready and willing to make your business shine. 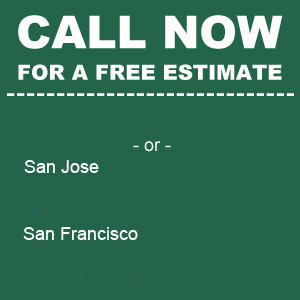 From San Francisco to San Jose, our commercial cleaners provide free estimates, allowing you to make a pressure-free decision that’s right for your company. Put your best foot forward with the help of CleanSweep. 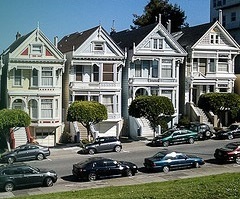 Discover our wide variety of services by visiting www.cleansweepbayarea.com.